Accept the natural limit of our earth’s resources. 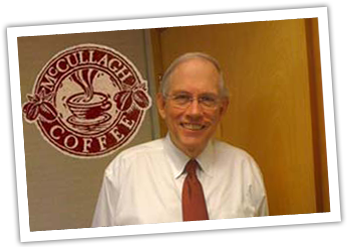 McCullagh’s introduction to genuine sustainability practices in our business occurred in 2007 at the Rainforest Alliance 20th Anniversary Celebration. The Rainforest Alliance™’s intellectual framework, guiding principles and implementation practices compelled Warren to formally adopt the mission to make McCullagh a genuinely sustainable enterprise by our 150th Anniversary. His first challenge was to holistically address the coffee product line; where the most damage to the environment can occur. He chose to adopt “best practices”, not only in the sourcing but in the production and packaging of his coffee. 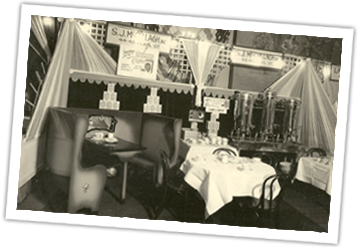 As a result they have collectively solved the most vexing, environmental and social problems facing the production and distribution of coffee today. 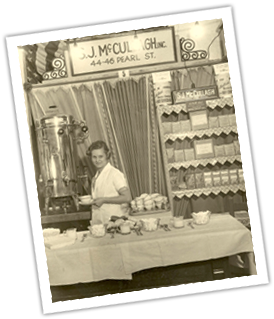 After years of dedicated developmental effort, McCullagh is proud to offer Ecoverde coffees as a new addition to their 140 years of roasting expertise. Ecoverde – An economically, environmentally and socially sustainable choice!